Paypal is running a good deal for New Users, Get Rs.1000 Travel Voucher on 5 Transactions of Total Rs.2000, This offer is valid only for new users who have created a new PayPal India account during 18th March 2019 – 15th April 2019 (both dates inclusive) (Offer Period). 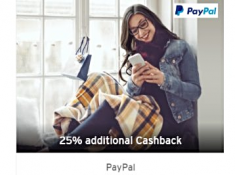 This offer is valid only for new users who have created a new PayPal India account during 18th March 2019 – 15th April 2019 (both dates inclusive) (Offer Period). To be eligible you need to pay with your newly created PayPal India account at least a minimum 5 times during the offer period for total (net) spend equal to or more than Rs. 2000. Qualified users will be awarded an Rs. 1000 PayPal Travel Discount Voucher. The voucher can only be redeemed on any of the below merchants: a. MakeMyTrip b. Yatra c. Abhibus d. Redbus e. EaseMyTrip f. GoIbibo g. Railyatri. Create your PayPal India account. Only new PayPal accounts created during the Offer Period will be eligible to avail the offer. 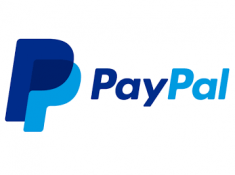 Pay with PayPal on eligible Indian merchants accepting PayPal. You need to complete 5 successful PayPal transactions in the Offer Period with any of the Indian Merchants which accept PayPal. The sum of total of 5 transactions carried during the Offer Period should be Rs 2000 to be eligible for this Offer. Proceed to the payments page and select PayPal as your payment option. 7. 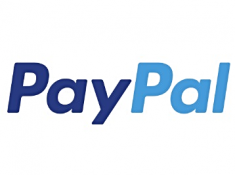 Sign-in into your PayPal account and pay with your saved card (add card if not already added).